The ABB Ability Power Transformer, unveiled at the 2018 Hanover Fair, in Germany, will be the world’s first integrated solution for digitally enabled power transformers, fundamentally changing the transformer paradigm. All power transformers leaving ABB factories will soon come enabled with digital capabilities, enabling remote monitoring and data analytics of its vital parameters in real time. This will enhance reliability and enable higher utilization of grid assets and power networks. The transformer will come equipped with a digital hub that can leverage a portfolio of smart devices on a modular platform with plug-and-play capabilities. This modularity and scalability makes the system future-proof while giving users full control over their digital journey. ABB also announced the launch of ABB Ability TXplore, a service solution that deploys a submersible transformer inspection robot. The wireless robot can be maneuvered through a liquid-filled power transformer to perform fast, safe and cost effective internal inspection, which can be shared remotely close to real time with global experts. This innovative approach, another world-first, enhances safety by reducing personnel risk, reduces down time with inspection performed in hours versus days and brings inspection costs down by 50 percent or more. ABB is also showcasing its recently introduced ABB Ability TXpert distribution transformer, the world’s first digital distribution transformer. TXpert provides intelligence to maximize reliability, optimize operating and maintenance costs and manage the asset more efficiently, building on the ABB Ability platform and connected devices to generate actionable intelligence. This product is the first of its kind to integrate sensing technology directly into the transformer during the manufacturing process, resulting in higher accuracy. Transformers perform the important function of adapting voltage levels, stepping up for efficient long-distance high-voltage transmission, and stepping ‘down’ for distribution and safe use by consumers. They also help maintain power quality and control. ABB pioneered transformer technology in the 1890s and has since been at the forefront of record-breaking innovations including the world’s most powerful DC and AC transformers at 1.1 and 1.2 million volts respectively. 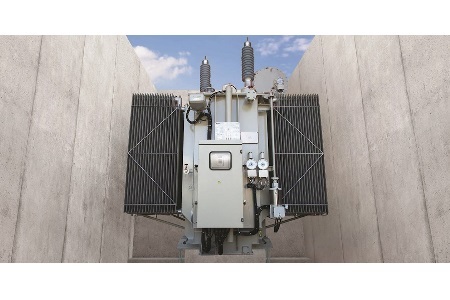 As the world’s largest transformer manufacturer and service provider ABB has an unparalleled global installed base and a vast portfolio of power, distribution and special application transformers. As a global market and technology leader, ABB serves utilities as well as industrial and commercial customers as the partner of choice for enabling a stronger, smarter and greener grid.